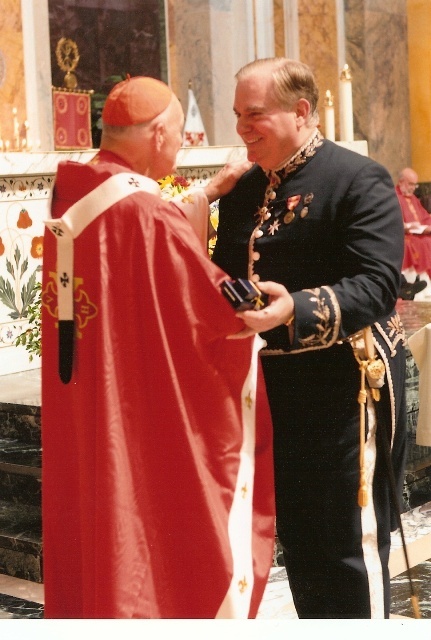 July 29, 2000, Pope John Paul II, invested Gary Krupp as a Knights Commander of the Pontifical Equestrian Order of St. Gregory the Great, for his years of benevolent work, to help Casa Sollievo della Sofferenza, the hospital founded and built by St. Padre Pio of Pietrelcina. Mr. Krupp was the seventh Jewish man in history to be so honored. 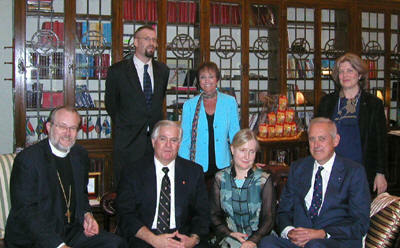 Mr. Krupp felt that this honor was a calling to bridge all of the religions of the world. 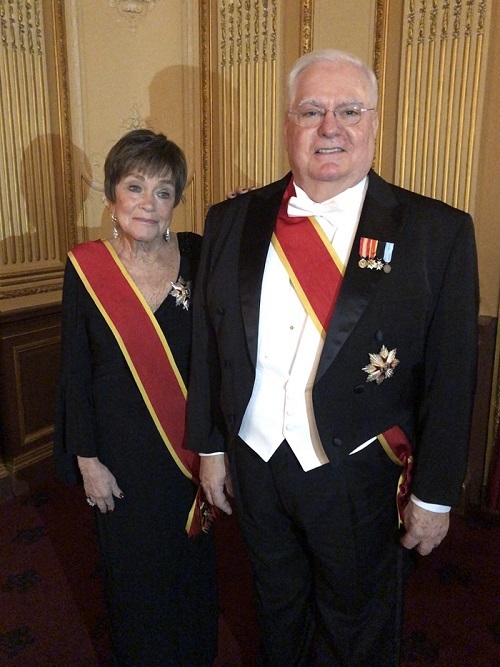 He, and his wife Meredith, founded Pave the Way Foundation. Read Vatican Press Release. 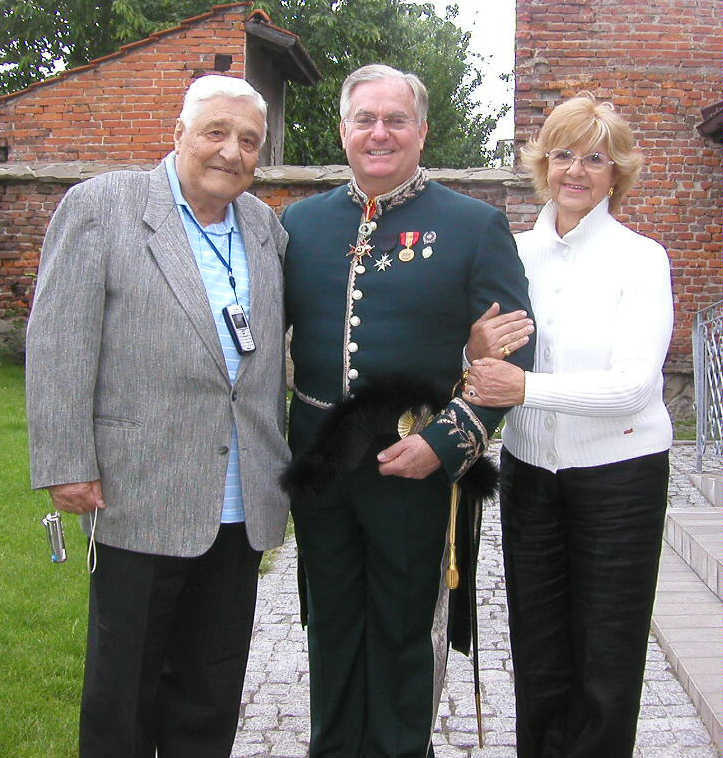 Gary Krupp in the Uniform of a Knights Commander of the Pontifical Order of St. Gregory the Great picture here with Dr. and Mrs. Rolando Clementoni Italian advisors to Pave the Way Sir Sigmund Sternberg KCSG in London, one of the first Jewish men to be invested to the Pontifical Order. 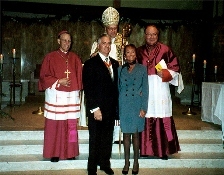 The Late Rabbi Mordechai Waxman first Rabbi to be invested to the Pontifical Order of St. Gregory the Great On July 13, 2005, Her Majesty Queen Elizabeth II approved the name of Gary Krupp to be invested into the Order of St. John of the Anglican Church. 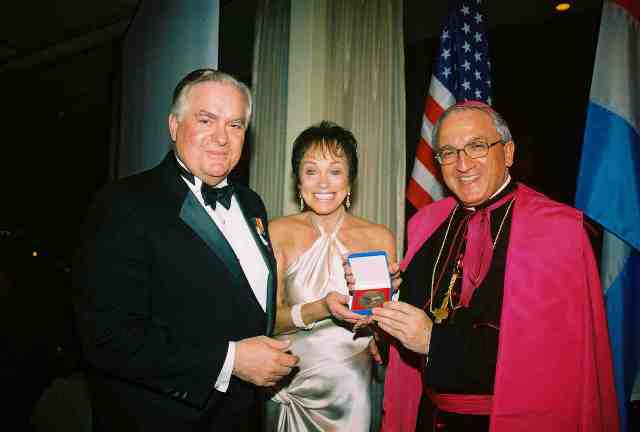 June 13, 2006 Gary and Meredith Krupp, co-founders of Pave the Way Foundation, was awarded one of the highest peace awards bestowed by the Vatican Ambassador to he United Nations Archbishop Celestino Migliore. 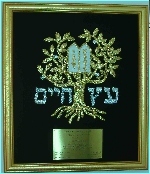 "The Servitor Pacis Award" the servant of peace. 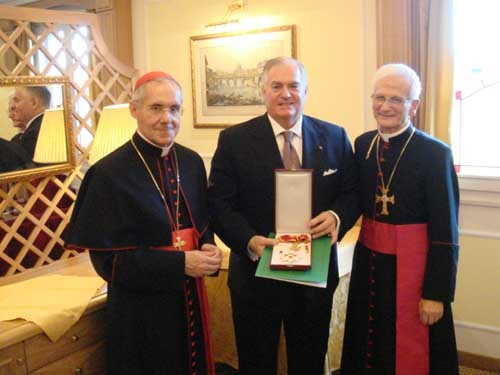 At a special investiture ceremony on June 3, 2006 in Washington DC., Mr. Krupp was awarded the "Benemerenti Medal" of good works by the Sacred Constantinian Order of St. George by His Eminence Theodore Cardinal McCarrick, Archbishop of Washington. 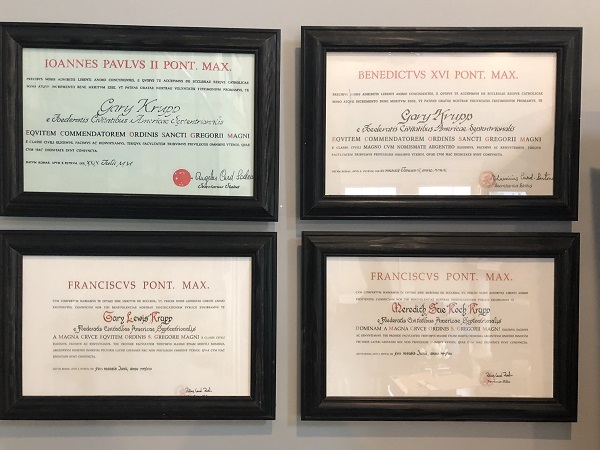 These amazing honors makes Gary Krupp who has been honored by 12 Vatican and Catholic institutions the most decorated Jewish man by he Vatican State in history. 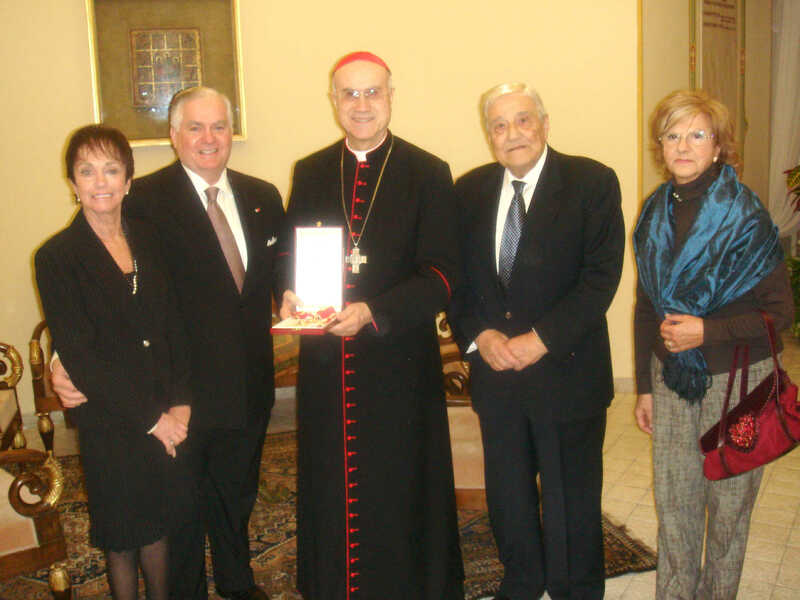 Meredith Krupp is the only Jewish women ever to receive this Vatican Honor. Using these unique positions enables the Krupps to work to improve relations between all the world's faiths.